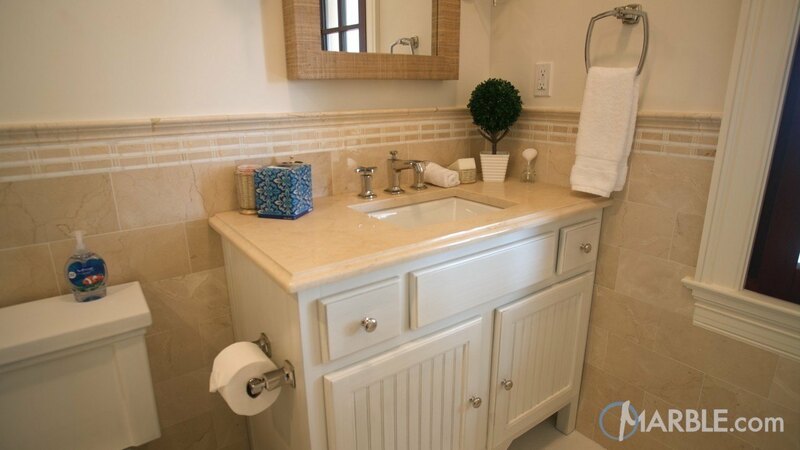 White cabinetry, neutral tiled walls and a tiled floor all work nicely together in this bathroom. 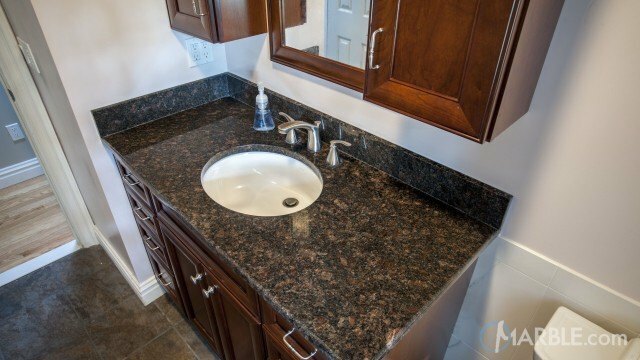 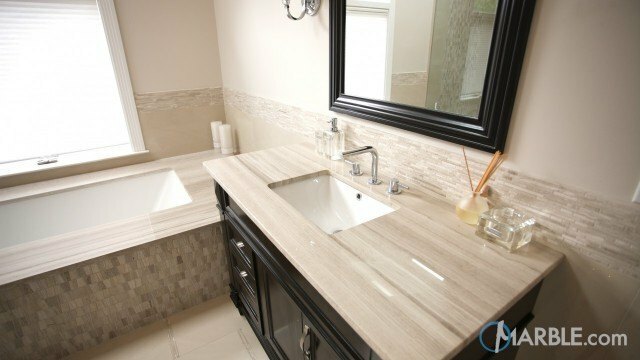 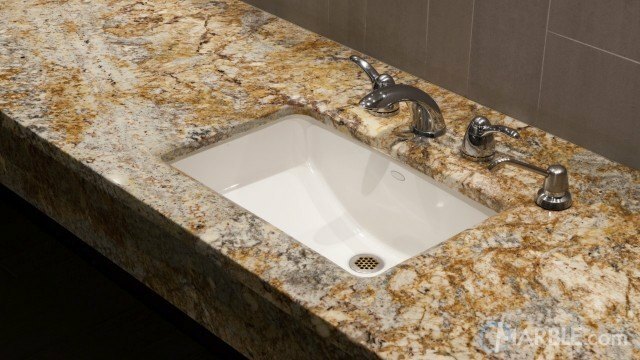 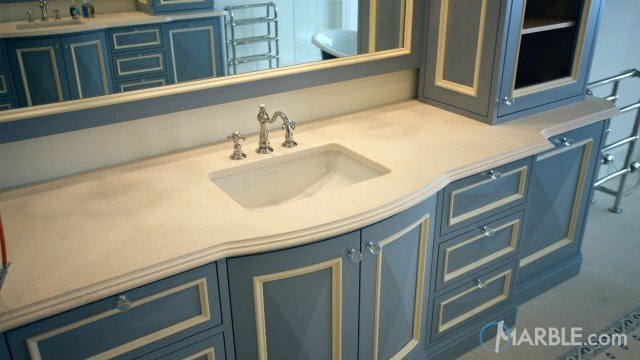 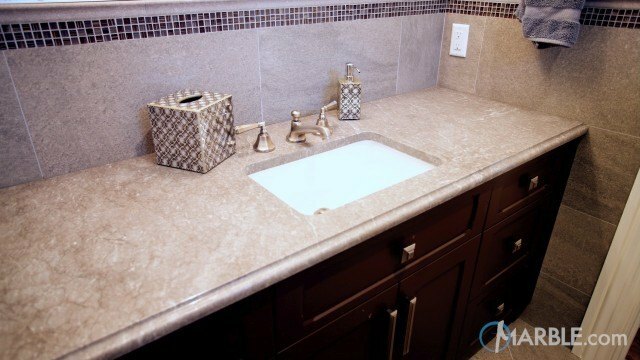 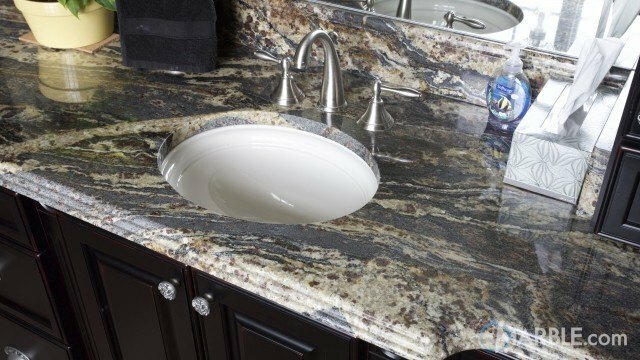 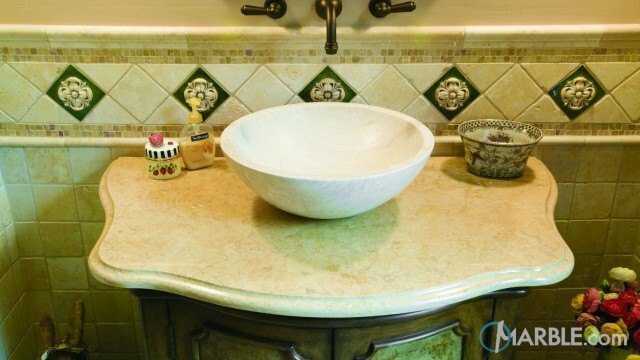 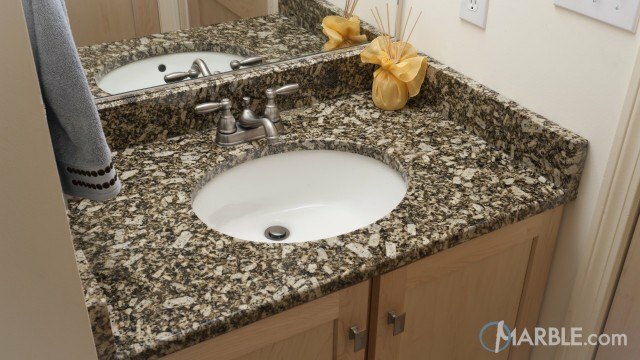 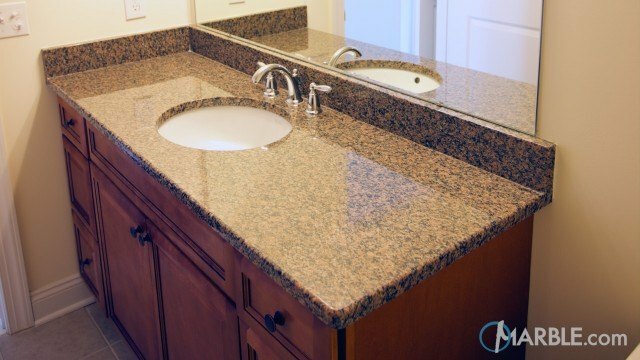 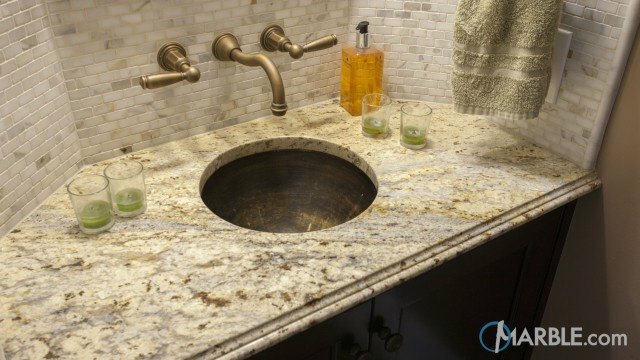 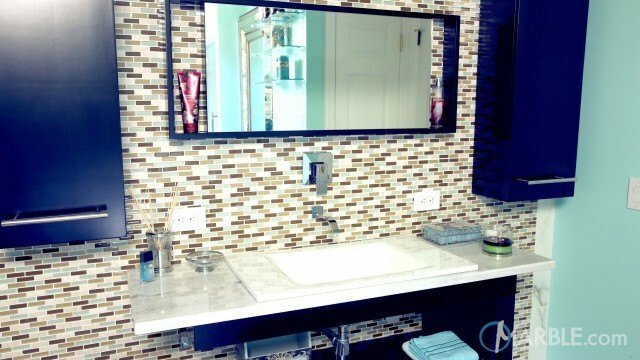 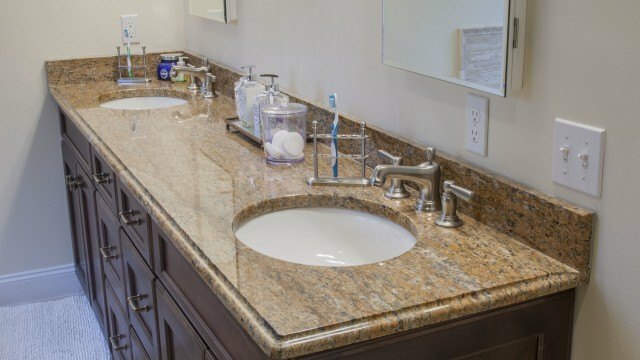 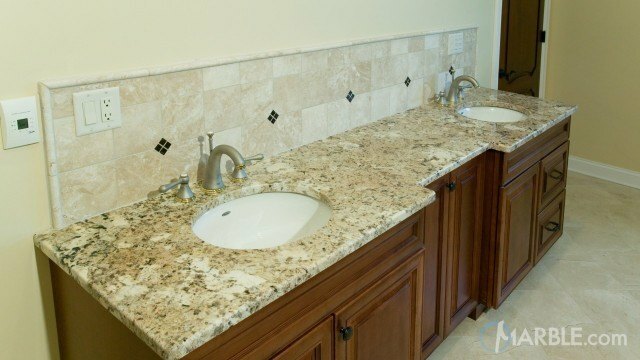 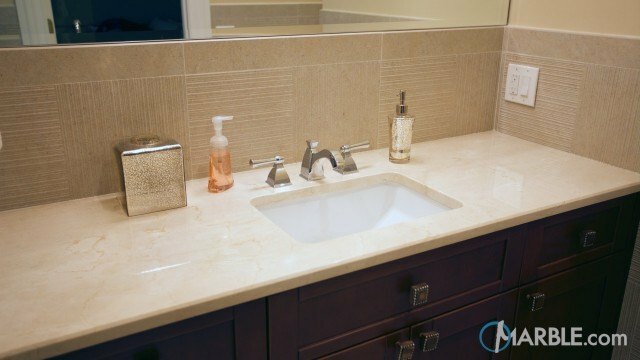 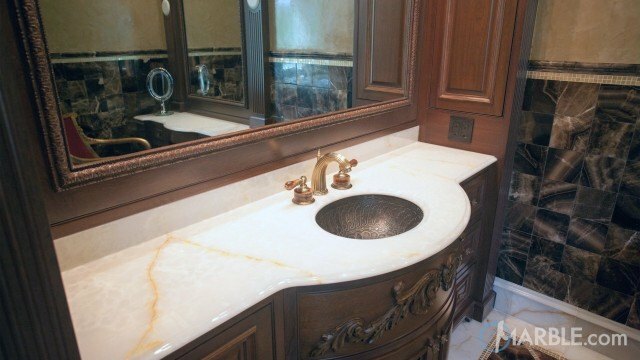 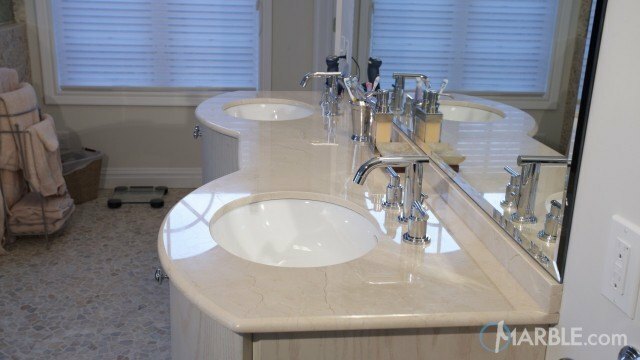 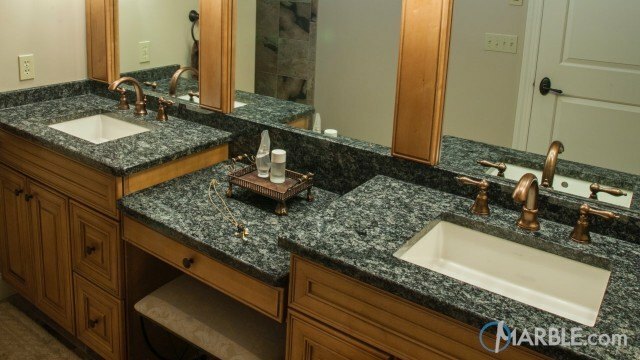 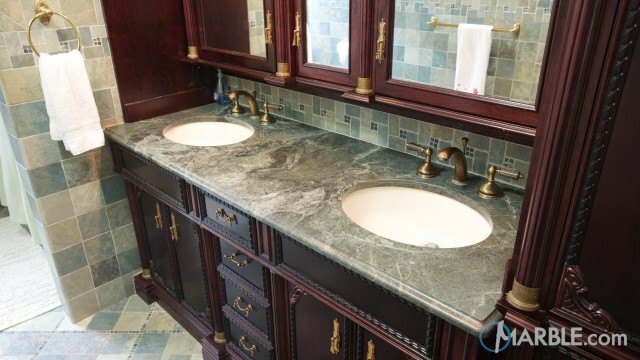 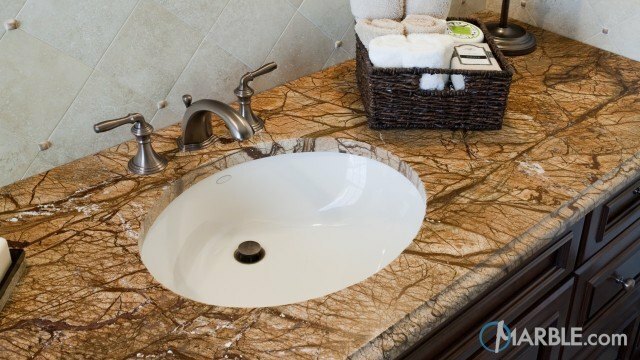 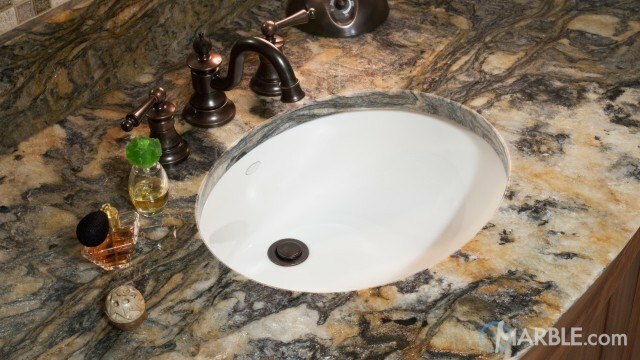 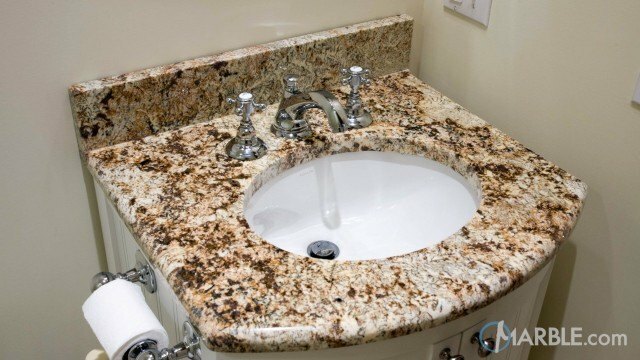 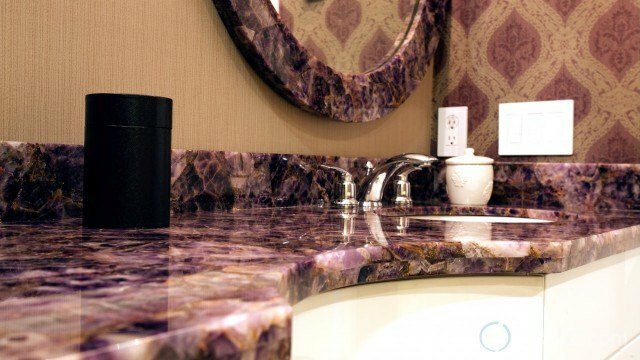 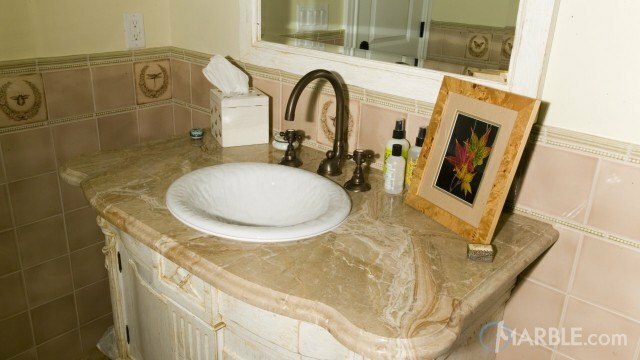 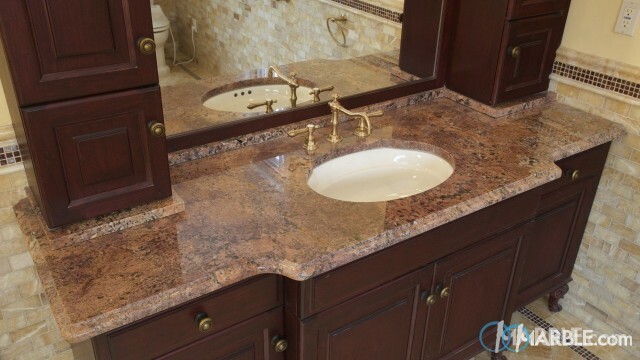 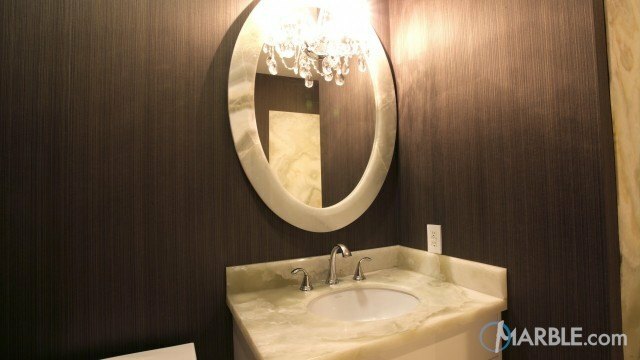 The counter top is composed of Crema Marfil marble with an Ogee Edge. 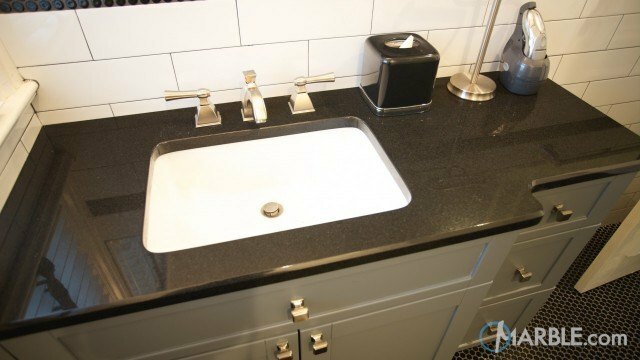 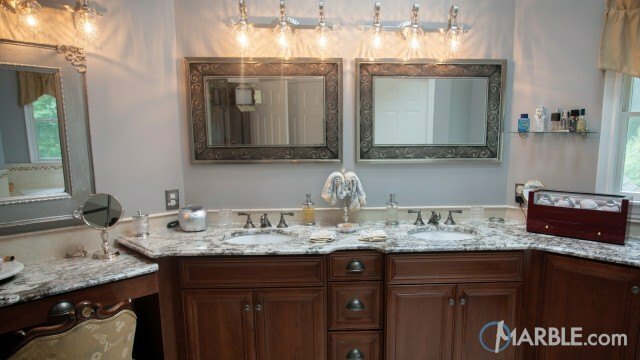 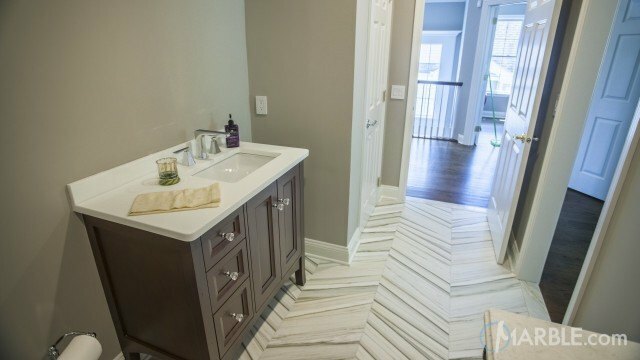 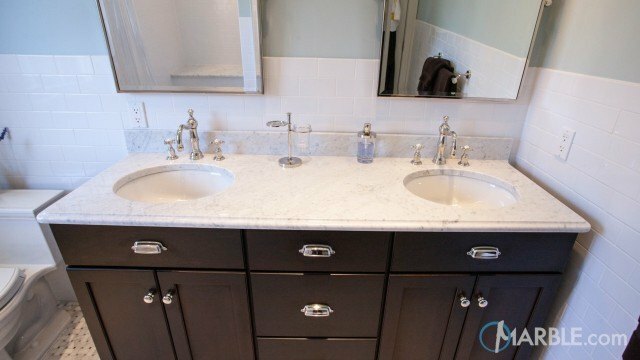 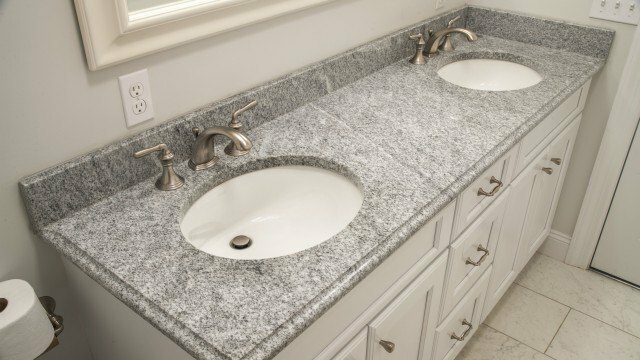 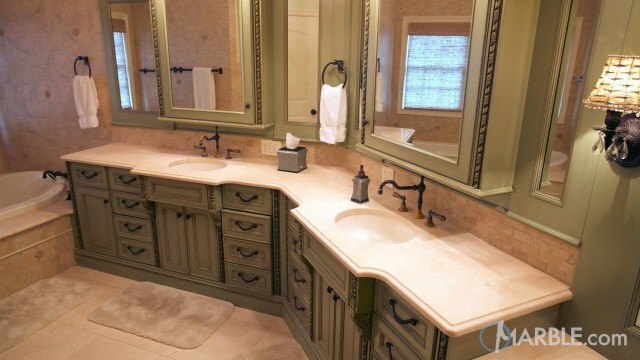 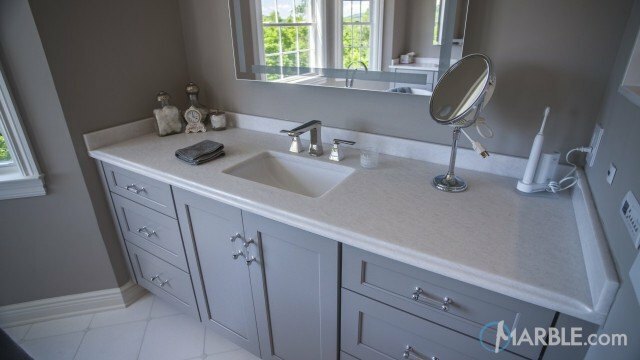 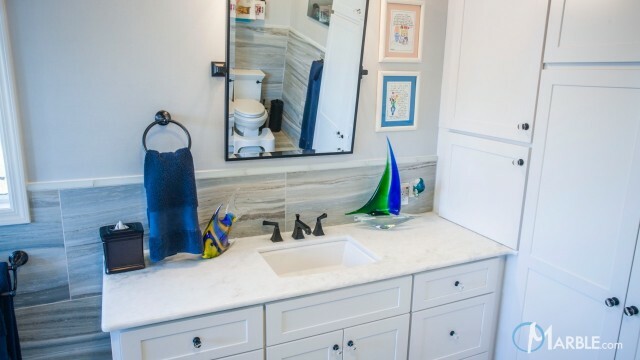 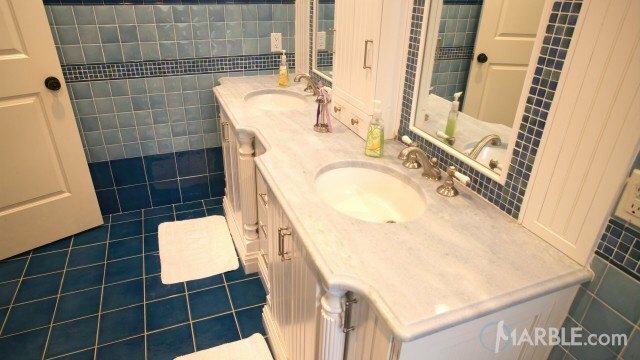 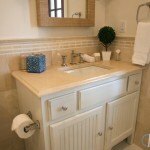 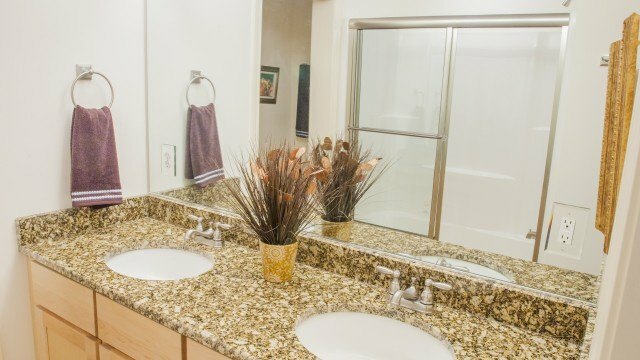 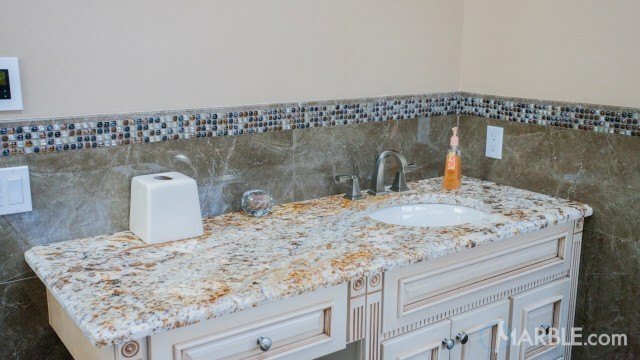 The rectangular sink is a perfect match for the simple white cabinets. 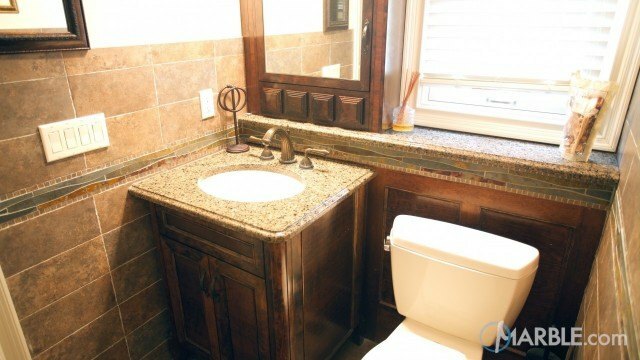 The window framing matches the cabinet and everything is pulled together perfectly.